Each tea light candle is made by hand pouring creamy eco soy wax into Aluminium tea light moulds with a cotton wick. If you’re looking for tea light holders to match our tea lights ? Payment is expected at the time of order. Please ensure you have discussed all of your requirements for customisation before placing your order. If you change your mind within 24 hours of ordering we will offer a full refund but can unfortunately not guarantee a refund will be possible after this time. 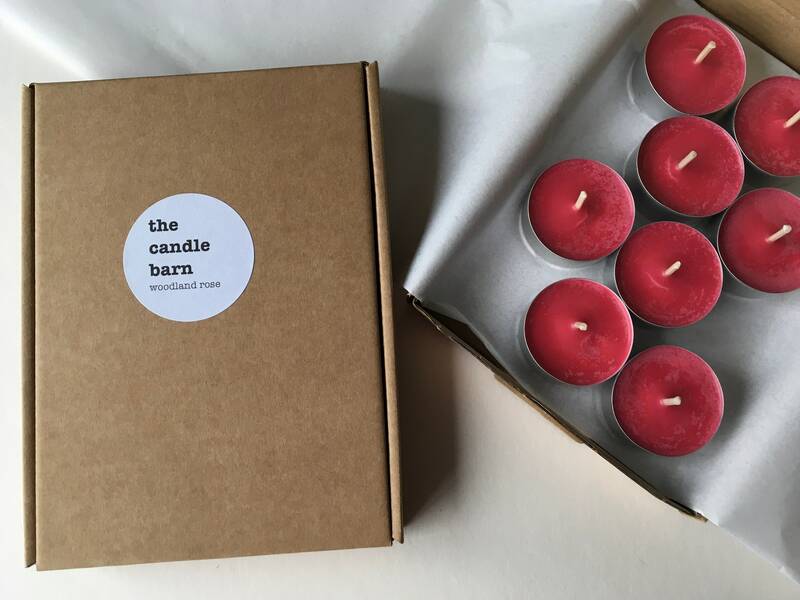 All candles will either be posted by Royal Mail 2nd class post or courier dependent on the weight of the candles you have ordered. If your order is faulty or damaged please notify us within 48 hrs of taking delivery and we will be more than happy to either exchange your candle or provide a full refund. We do offer discounts for bulk orders for example for wedding favours. To fulfil your order, you must provide me with certain information (which you authorised Etsy to provide to me), such as your name, email address, postal address, payment information, and the details of the product that you’re ordering. You may also choose to provide me with additional personal information (for a custom order of candles, for example), if you contact me directly. lovely delicate smell , just perfect.